Ecommerce in the Netherlands: A Growing Opportunity? This post is by Jacques van der Wilt. Jacques is a shopping feeds industry leader and the founder of DataFeedWatch, a leading global feed management and optimization company that helps online merchants optimize their product listings on more than 1000 shopping channels in over 50 countries. Selling products on international markets is a quick way for merchants to grow profits. The barriers for entering foreign markets have been lowered and the opportunities to expand overseas are better than ever before. A market that holds great appeal thanks to its infrastructure and product demand is the Netherlands. It is currently ranked 18th in the world for retail ecommerce sales, and is continuing to grow, which is quite impressive for a country of its size. In 2016, ecommerce sales in the Netherlands totaled €20.16 billion, up 23 percent on 2015 and ahead of market expectations. Increasing consumer confidence is one of the main reasons for the growth in ecommerce sales. In addition, most analysts expect this increase in consumer confidence to continue, not least because GDP per capita is also rising. But where do the Dutch shop online, and what are the current ecommerce trends? Ecommerce is big business in the Netherlands. In 2016, ecommerce sales were worth 11.3 percent of total retail sales, which was an increase of 8.9 percent compared to 2015. To put this into perspective, the ecommerce share of the market in the Netherlands is higher than in many other countries. In the US, for example, ecommerce accounts for just 8 percent of total retail sales. One of the reasons for this increase in retail market share is that sales on mobile devices are getting stronger in the Netherlands. In 2016, mobile devices were used in 23 percent of online purchases, an increase of 68 percent on the previous year. While sales on mobile devices are rising, the Netherlands is still behind many other countries, so further growth is expected. For example, in the UK, over 30 percent of ecommerce transactions are on mobile devices. So who is buying online in the Netherlands and what are they buying? Currently, about 94 percent of the 17 million people living in the Netherlands have internet access and in Q4 2016, 82 percent of the country’s total population bought something online. Over half of ecommerce sales (€11.01 billion) in the Netherlands in 2016 were sales of products. The rest, €9.15 billion, were sales of services (which includes the purchasing of things like travel and events tickets). The average spend per transaction in 2016 was €116 and each online shopper spent an average of €1,242 online throughout the year. This spend was spread across a broad range of websites, platforms, and merchants including major Dutch shopping channels and international brands. About one-quarter of Dutch people make purchases on non-Dutch websites. With any new market, you need to understand what the local consumers are expecting from you and the Netherlands is no exception. 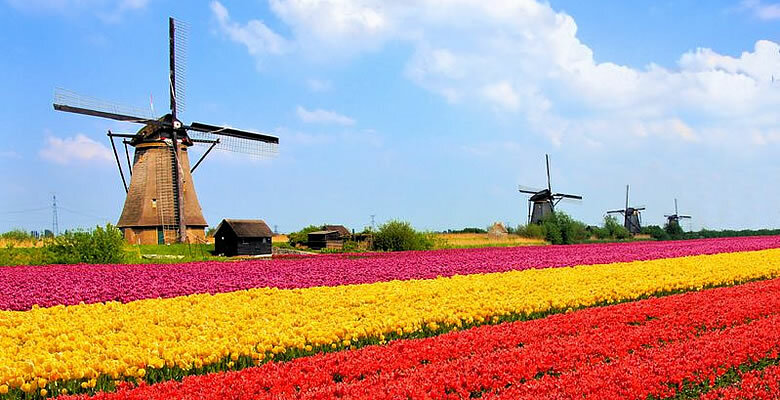 There are a number of key factors you should be aware of, and incorporate into your marketplace offerings, if you’re to make a success of selling in the Netherlands. Language – even though the Netherlands is ranked as the number one country in the world for adult proficiency in English as a second language, most online shoppers in the Netherlands prefer to buy on websites that are in Dutch. Currency – Dutch consumers prefer to buy on websites that sell in Euros. Delivery – the Dutch are used to fast delivery options including next day delivery, same day delivery, evening delivery, and Sunday delivery. In fact, merchants can increase sales by up to 25 percent simply by offering next day delivery. Payment platform – most people in the Netherlands prefer to shop on websites that offer the most popular local payment platform – iDeal. In fact, iDeal currently has a market share of 57 percent. The next biggest payment platform is PayPal, although it has just 5 percent of the market. Feed management – since most channels in the Netherlands have different requirements, using a feed management tool is crucial, if Dutch merchants are to be successful. Acquisio has put together a thorough guide to help merchants select the best feed management tool for their needs. Categories – in terms of product sales, the most popular three categories in the Netherlands are fashion, electronics, and toys, hobby and DIY. Now you have a better understanding of Dutch consumers, and have some tips for successful selling, you need to know which marketplaces and shopping channels you should be offering your products on. As is the case in most countries, merchants that want to maximize their exposure in the Netherlands, and increase their sales, should offer their products on multiple channels. 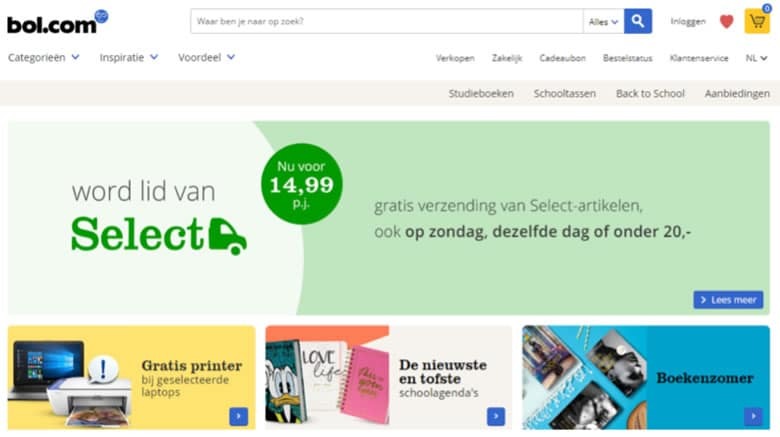 Bol.com is one of the Netherlands’ leading ecommerce brands, with over 7.5 million customers across the Netherlands and Belgium. It operates on a similar model to Amazon, as it sells directly to the consumer, as well as providing a platform for third party merchants to sell on. The site says that it currently has 16,000 sales partners, and sells over 15 million different items in over 20 product categories. Bol.com is part of Koninklijke Ahold N.V., the leading Dutch international retailer, and saw it’s revenue increase by 25 percent in 2016 to €578 million. 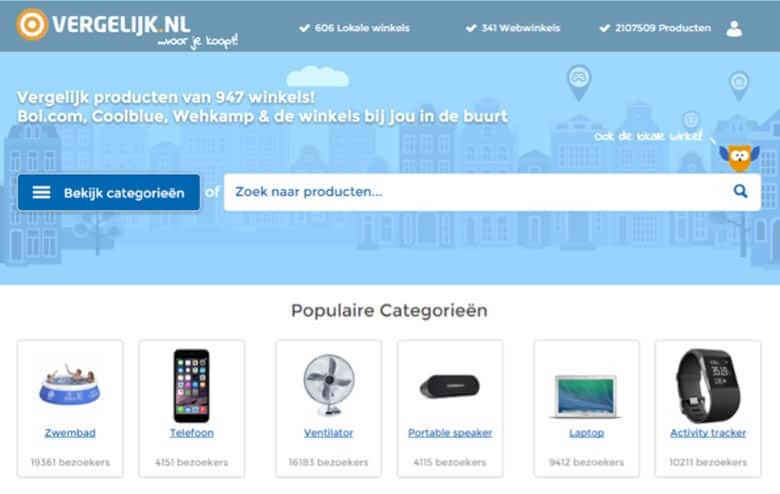 Bestlist.nl is the biggest shopping comparison website in the Netherlands with over 10,000 merchants and more than 25 million products. The website attracts about 600,000 shoppers a day. Previously, the site competed directly with major players like Google to attract visitors and then direct them to merchant websites. But, the company is now moving away from the shopping comparison model, and is transforming into a marketplace model, similar to Amazon’s. In other words, merchants will still be able to list their products, but the transaction will take place on the Beslist website, with the merchant responsible for fulfilling the order. 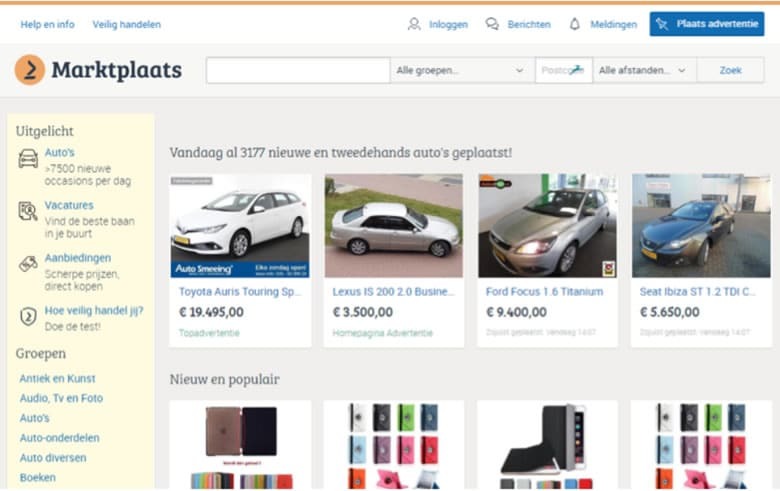 Marktplaats is a classified ads and ecommerce platform that is owned by eBay. In fact, the business model is very similar to eBay, as individuals or merchants can list products for sale. It is a significant player in the Dutch ecommerce market with over 8.2 million visitors to its website every month. Those visitors have access to around 9 million products, across 38 categories. Vergelijk.nl (which translates to Compare.nl) is a major price comparison website in the Netherlands, which gets around three million visitors per month. As its name suggests, its business model is based on letting consumers compare products from multiple retailers. 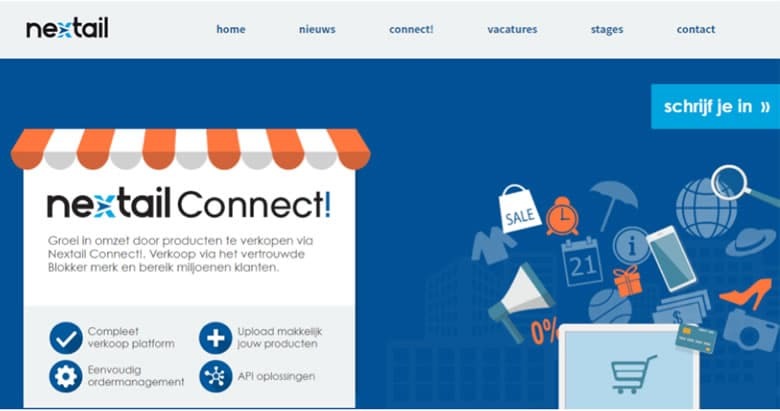 In all, there are 967 stores on Vergelijk.nl made up of 626 local shops and 341 “webshops”. Consumers have access to over two million products on the platform, from 31 major categories. 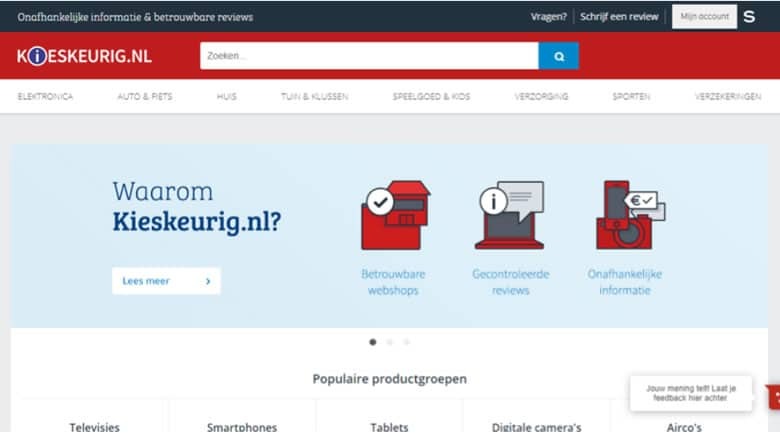 Kieskeurig.nl is a shopping comparison website that offers over 12 million products across 20 main categories and a broad range of subcategories, and gets more than 170,000 visitors a day. The site had an annual revenue of 12 million euros in 2016, and was acquired by the Dutch media company Reshift, in 2017. Nextail is a major and growing ecommerce company in the Netherlands. Its sales increased by 30 percent, to €173 million in 2016, making it one of the largest in the country. Nextail Connect is its merchant platform, which was launched in November 2016. It is a new and very tightly controlled platform. When it launched, there were only seven merchants selling on Nextail Connect, offering about 10,000 products in around 20 different categories. Nextail Connect has increased this to about 35 merchants but is continuing, at least for the moment, with the strategy of keeping the platform generally closed to new merchants. That said, it does invite applications and expressions of interest from interested business partners, so the situation may change in the future. The move away from the price comparison model to the marketplace model by Beslist.nl, and the increasing number of Dutch people making purchases on their mobile phones, are good examples of the evolving nature of ecommerce in the Netherlands. These changes, combined with the increasing confidence of online shoppers in the country, presents a significant opportunity for merchants both inside and outside of the Netherlands. The country has a good infrastructure, so delivery logistics are not difficult to put in place, and consumers are used to paying for products online, particularly through the main payment platform, iDeal. In other words, the Netherlands is a good place for online retailers to do business. This post was by Jacques van der Wilt. Jacques is a shopping feeds industry leader, start-up mentor, entrepreneur and the founder of DataFeedWatch. I have a question about your listing. Are Otto and Zalando so much smaller in the Netherlands that they are not listed?